BiotiteH3O2™ research for safe pure drinking water! Let’s start with where BiotiteH3O2™ Concentrate began and how to have safe pure drinking water! It is our understanding that Black Mica extract used to purify water, has been marketed and commercialized by many names over the years, yet we keep coming back to it. We are just looking for a positive way to help the water crisis and when we see what BiotiteH3O2™ Concentrate seems to do, then we say YES! “Dr. Aso Shimanishi who is now in his late 80s is the creator and inventor of Themarox (Ionic Mineral Solution, extracted from Black Mica or Biotite). He is a well known and respected pharmacist and a leading authority on the treatment of water waste in Japan.About 50 years ago, Dr. Aso Shimanishi got his inspiration for the Black Mica by observing a healthy tree growing out of a rock. 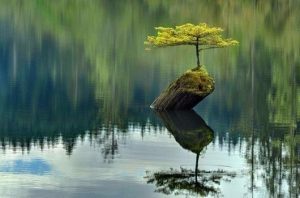 He wondered where the nutrients came from for the tree to grow in such poor conditions and environment. By studying the rock the tree was growing on he discovered that its fine hair like roots were getting its nutrients from Biotite/Black Mica embedded in the Granite. He then spent following decades studying and researching Biotite and searched the world to find the best source of Black Mica which coincidentally was in his own country of Japan. Through all his studying and research, he was able to developed and patented process to extract the minerals from the Biotite to purify water. What is BiotiteH3o2 Liquid Crystal Concentrate and how can it clean polluted water? “SO WHAT DO WE DO TO MAKE THIS WATER BETTER? First and most importantly we have to engage in a subtraction business of removing only villains from the water. There are 5 steps of subtraction we need to do. 1. To remove those that cause water to lose clarity, namely insoluble substances. 2. To kill dissolved germs. 3. To remove rotten organic matters dissolved in water (biochemical oxygen demand (BOD) type). These organic matters can come from both meats and vegetables. 4. To remove artificially developed synthetic substances like petrochemicals that did not actually exist in nature. This for example includes such thing as synthetically made detergents. 5. Lastly to remove heavy metals, such as arsenic, lead, mercury, cadmium and chromium. When we add a few drops of BiotiteH3O2™ Concentrate to questionable drinking water, it may take from 1 min up 24 hrs. depending on the contaminants. Here’s an example of how quick this Ionic Mineral solution worked in the video! Themarox Direct Published on Aug 18, 2015 ~ Witness the power of Themarox! The minerals create separation between the water and the contaminant. While the research from the experts listed here clearly show water that changes from H2O and is structured becomes oxygenated H3O2 with an Exclusion Zone. We must agree that it looks and acts different and the findings are astonishing. 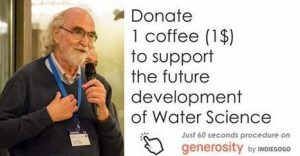 We rely on the scientists and researchers to interpret what this means, how the properties of the water change and what that means for us, our health, people of the World and the planet. We have been following the work of Dr. Gerald Pollack for a few years now and are so impressed with his “EZ” or Exclusion Zone water and the offerings that it is good for your health and especially the function of cell hydration and cell health. 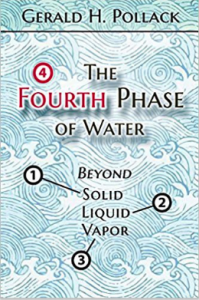 Dr. Pollack’s newest book, “The Fourth Phase of Water: Beyond Solid, Liquid, and Vapor” won that Society’s “Distinguished Award.” He is founding editor-in-chief of the journal, WATER, convener of the Annual Conference on the Physics, Chemistry and Biology of Water, and executive director of the Institute for Venture Science. He won the 2015 Brandlaureate Award, previously bestowed on Nelson Mandela and Steve Jobs. 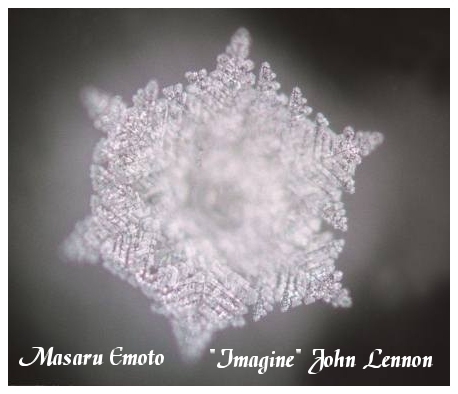 In 2016, he was awarded the first international Emoto Peace Prize. EZ water has a spectral waveband peak in the 270 nanometers or UV region. The more water absorbs this light the higher the EZ presence in water. This highlights the importance of cellular exposure to sunlight in health (sunlight energy that is absorbed or penetrates inside the body to the EZ water in cells, and builds negative voltage in the cells). EZ water has no resistance. This accounts for rainwater falling at 10 times the speed of any object in air, and that EZ water in a pipe has little or no resistance. EZ water is the main component of blood and this is why blood can move effortlessly through tiny capillaries with a diameter small than the red blood cells, due the EZ water having no resistance. The cardiovascular system also is assisted by radiant energy from the sun and this assists with blood flow that is 95% EZ water. EZ water is denser than H2O. All proteins have a sheath of EZ water around them. Cell health is a function of the presence and voltage capacity of the EZ water. EZ water is more viscose than bulk water. Egg white is highly viscose due to the presence of EZ water. The refractive index of EZ water is at least 10% higher than H2O, ie. capacity to bend light. The human body is constantly trying to discharge positive voltage/charge through urine, feces, perspiration, physical contact of human skin with the Earth or vegetation, etc. and maintain high negative voltage in cells. Plants constantly have their roots in a negatively charged soil, and this charge is sustained by rainwater and microbial activity, and diminished through chemical fertilizers. The best sources of EZ water is from glacial water, deep groundwater, natural springs, pristine river water and rainwater (in unpolluted air). 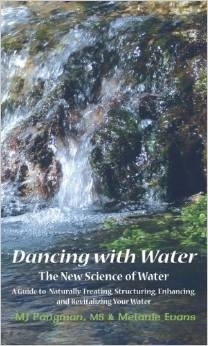 Dancing with Water teaches the reader how to return water to its natural, liquid crystalline state where it behaves more like a crystal than a liquid. This a monumental step forward in available literature on water. While satisfying the need for scientific accuracy, the authors have produced a compelling treatise for any reader who is truly interested in understanding the depth of their relationship with water. What do the authors mean when they refer to the New Science of Water? The book explains many of water’s unique properties by examining its liquid crystalline molecular structure.